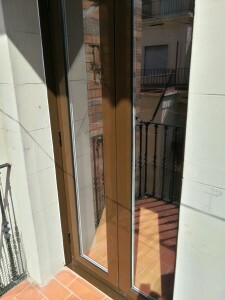 Microventilation and healthy air in aluminum doors and windows in Barcelona. 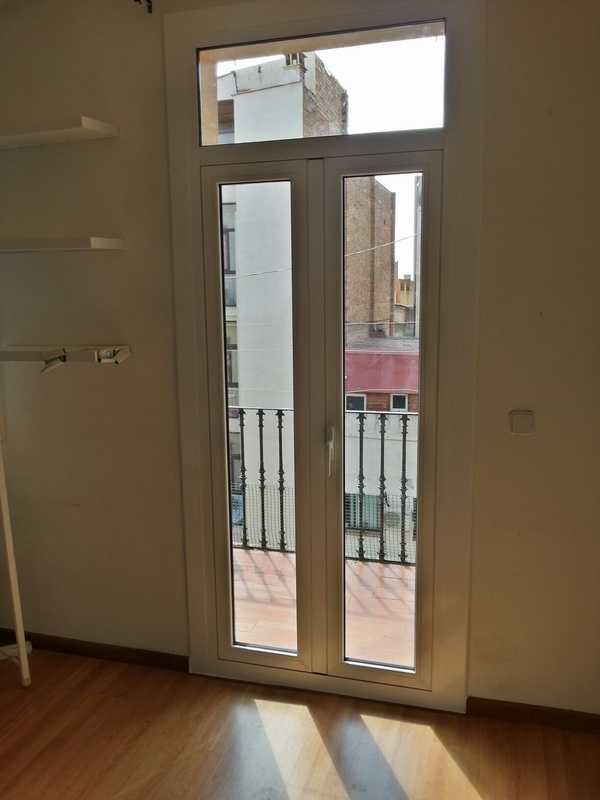 Work done in the Gracia district of Barcelona. It consisted of removing an old glass door aluminum single chamber. 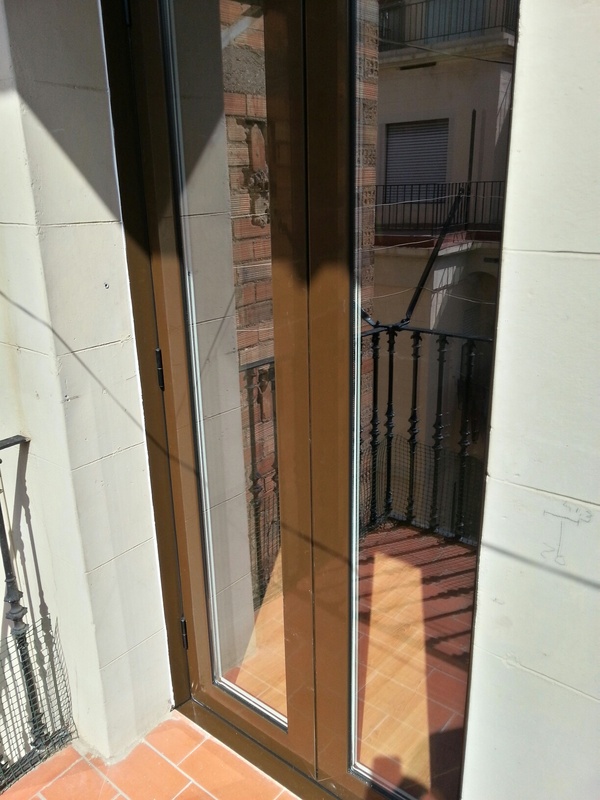 As we can see in the pictures installed an aluminum door double leaf external opening and fixed glass top, two color RPT material, finish that allows you to choose different colors on the interior and exterior sides of the house, highly recommended for neighborhoods Barcelona that require brown on the outside such as the Eixample. The door was made ​​from the stilo-50 RPT series, which offers a very competitive money market, Giesse hardware manufacturer. The acronym RPT mean thermal break, which means that the aluminum, conductive material, no matter the temperature transmitted from outside to inside the house, with a door much more efficient. 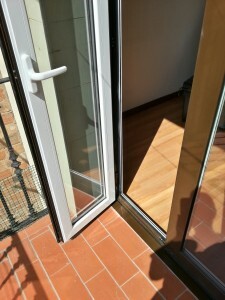 In addition to improving energy efficiency, introduced a camera glass 4/12/4 Guardian Sun, ideal glass for doors or windows with direct sun, because with this special glass treatment repels heat in summer and cold in winter, saving energy and money from the first day of installation. It is twice as efficient than a standard camera glass and about four times more than a single or monolithic glass, despite its huge savings not an exorbitant price and is quickly amortized. In the hollow interior of the frame injected polyurethane foam, to provide consistency and tightness of the structure, then this was covered with aluminum plates of the same exterior color and neutral black sealed with silicone of high quality. This work was installed by three workers in a morning chore, since there is no extra difficulty behaved. Ask us any question that you may have, we will respond without compromise.